we know the tenderness of a love story first hand. We will work together to create the images that will celebrate the story of YOUR wedding day - all the laughter, tears, romance, beauty and yes, and the unexpected. We'll capture the amazing details that you put so much thought into so that you'll remember them forever. Your wedding day might go by in a blur of emotion but you'll have the images we create for you for the rest of your lives together. 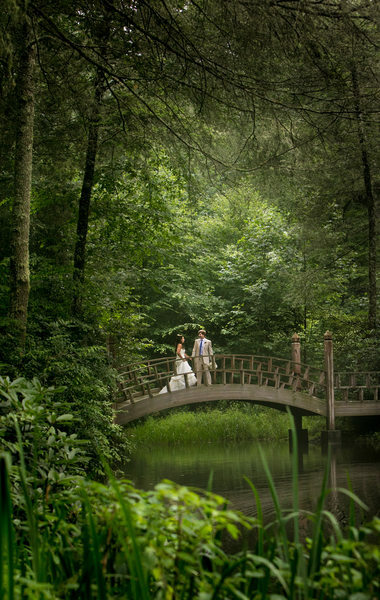 Our Story-Telling-Meets-Fine-Art style will assure that you have a variety of exquisite images in your wedding collection. We'll help you look your best when our hands-on direction is most needed and then fade into the background to be as unobtrusive as possible while we document the unfolding action with a more journalistic approach. We are experienced, classically trained and technically skilled which prepares us for ANY situation on your wedding day. 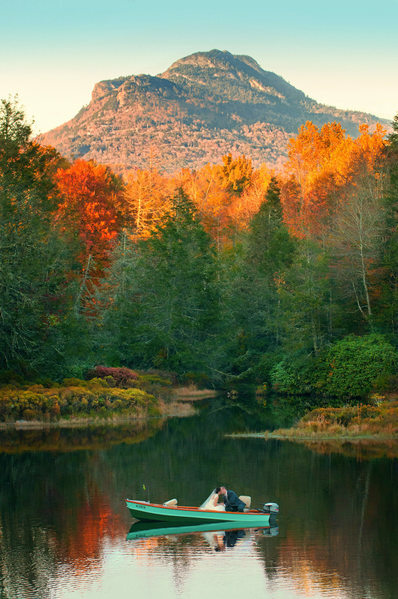 Located in the heart of the High Country just outside of Boone, NC, our full service photography studio provides the highest level of service to our valued clients in North Carolina and beyond. 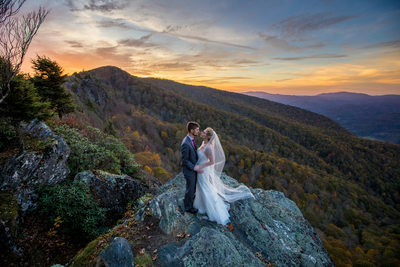 We've won many prestigious awards for our images through the Professional Photographers of America and the Professional Photographers of North Carolina but the "prize" that gives us the greatest pleasure is the joy our couples express when we deliver their wedding image collection to them. Browse through some REVIEWS from our clients. If you really like what you see in this extensive portfolio of wedding images, imagine how you'll feel about YOUR wedding collection. After browsing through this extensive collection of images, we hope you'll discover not only our love of creating these powerful images, but also our skill in working in all sorts of situations. These images represent what you can expect of the work we'll do for you. We want you to absolutely LOVE your wedding pictures. We present this gallery with hundreds of images so that you can see that our work has depth. We've been trusted to photograph hundreds of beautiful weddings. We know what we're doing. We'll have all the gear and back-up gear needed to create gorgeous images even in the most challenging situations. We're known for working hard with smiles on our faces. Why are we smiling? Because we want to be there. We care about giving you the best possible service. We believe in keeping things transparent and up front. There aren't any hidden fees or charges. Take a look at our PRICING. We've made it as streamlined as possible but we realize all weddings are different. We're happy to answer your questions. We're members of High South Event Professionals. Check them out. It's a wonderful organization of talents and creative professionals and it's a great resource if you're looking for other vendors in the High Country. We have our favorites and we'll be glad to share that information with you.